Mesum Abbas was born and raised in the United States in the state of New Jersey and has released 15 albums since his debut album in 1999, at the age of 9. His lamentations are followed avidly by listeners across the globe. Mesum Abbas is a leading Nohay Mp3’s reciter throughout the world. 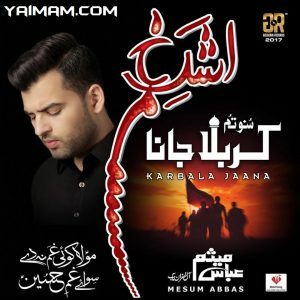 This is one of the largest collections of Mesum Abbas Mp3’s Nohays on line YAIMAM.com. In 2017 Mesum Abbas has one of the Top Album’s in the world. With a historical Noha Sher E Fizza, Which has taken the World by storm has been the most downloaded Nohay of the year. This is the best site to download noha Write-Up of Mesum Abbas and watch his 2017 Album and to download Mesum Abbas nohays.